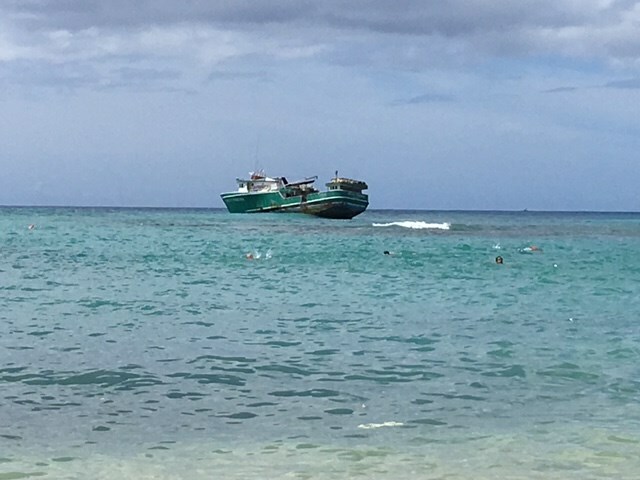 The 79 foot long fishing vessel Pacific Paradise ran aground off Kaimana Beach, Waikiki, O’ahu, Hawaii. The Coast Guard was alerted that a fishing vessel was stranded just 400 yards off the beach. 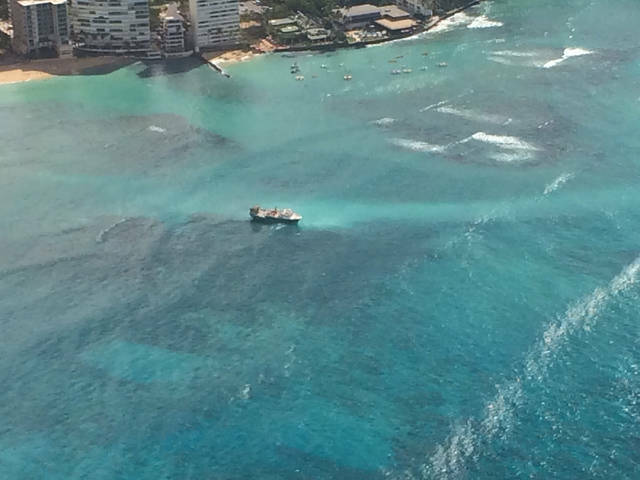 The Honolulu fire department sent a rescue boat while the Coast Guard responded with a helicopter and 45 foot response boat to the scene. 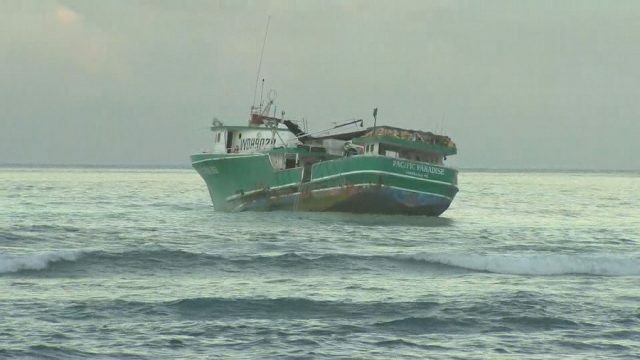 The response boat rescued 17 crew off the Pacific Paradise and taken ashore. The master and two crew were hoisted to safety by the Dolphin helicopter and flown to Honolulu where they met with authorities. No reports of injuries. Authorities have dispatched a response team to monitor the Pacific Paradise. A salvage operation to remove all the diesel fuel and oil off the vessel is underway. Reports state the fishing vessel has 8000 gallons of fuel on board. No reports of pollution released. The Coast Guard states attempts to free the Pacific Paradise will be conducted on the next high tide. Reports state weather was not a factor to the grounding and no distress call was sent by the Pacific Paradise. The Coast Guard has launched an investigation into the incident. On October 10, a strong super cell storm struck KwaZulu-Natal along with the harbour at Durban, South Africa. 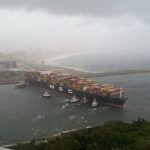 The storm brought strong wind gusts and heavy rains causing several vessels to break their moorings and run aground. 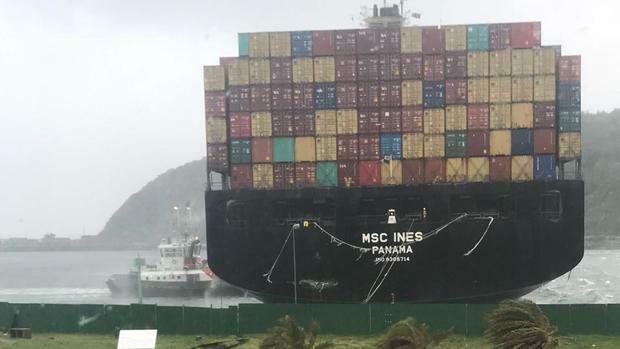 The 348 meter long, 114733 dwt container ship MSC Ines broke free of its moorings and was blown across the harbour until it lay perpendicular to the harbour entrance. Five tugs were dispatched to refloat the boxship and assist it back to its berth. 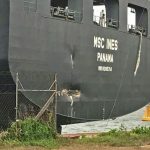 The MSC Ines sustained damage to its stern No reports of injuries or pollution released. 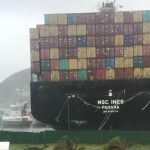 The 336 meter long, 102518 dwt container ship SM New York broke its mooring and was blown aground on a nearby sand bank. The 183 meter long tanker Bow Triumph broke its mooring at Island View and was blown aground on a nearby sand bank. 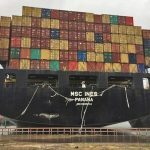 Both the 337 meter long, 117095 dwt container ship MSC Susanna and the 190 meter long, 55820 dwt bulk carrier Maritime Newanda broke their moorings during the storm. Tugs were nearby and were able to hold the vessels in place until the storm abated.